giving scrapple as a gift | What is scrapple? Underappreciated breakfast meat? Gross pig offal? On this scrapple blog we will answer these questions and more! "Any day with scrapple is like Christmas!" says Gregg S. on our Scrapple Facebook page. Well, I guess that's true, but technically only one day a year is actually Christmas. 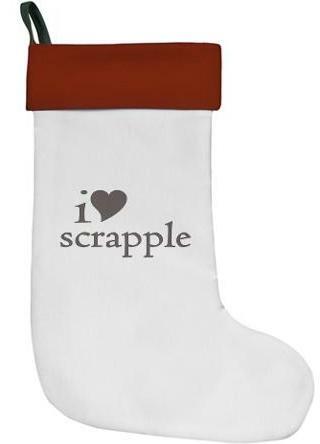 On that wonderful day, how do you incorporate scrapple into your Christmas festivities? Maybe a side dish along with some sort of casserole. Or maybe scrapple and eggs as you unwrap gifts. Man, that sounds delicious. But I'm wondering if we can do even more. Mom, Dad, Little Susie, Fido - sure the whole family gets a stocking over the fireplace. But what does that say about your choice in breakfast meat? Absolutely nothing. Which is why we should all be hanging scrapple Christmas stockings by the chimney with care. Bonus: I bet a brick of scrapple would slide right in to that stocking. Shopping just got easier! Confirmation is an important ritual in a lot of young Christians' lives. Family and friends from all over come together to enjoy the beautiful moment. And like most coming-of-age celebrations, along with the happiness and congratulations are plenty of gifts! Typical confirmation gifts are money, a gift card, or some sort of religious token (e.g. 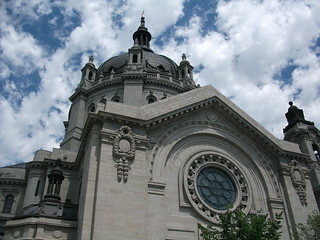 jewelry, books, rosaries, etc). Sure, these are all nice and carry a lot of meaning, but is that what a young adult really wants as they are going through this rite of passage?